Watches for sale, Jewellery, Jewelery ads in Port Macquarie. Thank you for visiting our free advertising website Watches for sale, Jewellery, Jewelery, Port Macquarie section. We provide high response free classifieds and free advertisement. Use our online free Watches for sale, Jewellery, Jewelery classifieds placement system to find, list, offer Watches for sale, Jewellery, Jewelery online! Bulk Jewellery sale. 925 St/silver, semi & semi precious stones. 925 silver, earring rod's, shepherd hook's, butterfly clips, crimpers, spacers, jump rings, neck chains, bracelets, pendants , rings & charms, including some Tomas sabo. Numerous strands of , garnet, pearl, jasper, Tigers eye, faceted and smooth onyx, red & peach Coral, lapis, peridot, clear & rose quartz, agate, carnelian, millefiori , Amber etc etc. DIAMONDS:- We buy all types of diamond jewellery no matter the grade of the diamond or what type of jewellery the diamond is mounted in. 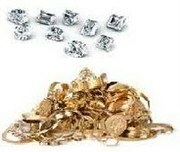 We buy diamond engagement rings, diamond earrings, diamond necklaces, diamond pendants, tennis bracelets. If you unsure of the quality of your diamond, just send it in and let our experts appraise the 4 Cs of your diamond (Cut, Colour, Clarity, Carat weight). Australia free ads for Watches for sale, Jewellery, Jewelery, Port Macquarie, Watches for sale, Jewellery, Jewelery free ads Port Macquarie, Watches for sale, Jewellery, Jewelery for sale Port Macquarie, Watches for sale, Jewellery, Jewelery to buy in Port Macquarie. Find on this page free classifieds for Watches for sale, Jewellery, Jewelery in Port Macquarie. This listing includes classifieds for sale and to buy in Port Macquarie. FREEADSAustralia Port Macquarie offers you a platform to post free advertisements or classifieds for Watches for sale, Jewellery, Jewelery in Port Macquarie. FREEADSAustralia helps you search, find buy, sell, rent or hire in various categories like apartments, goods for sale, local services, cars , jobs and many more in Port Macquarie. If you posted an advertisement in category Watches for sale, Jewellery, Jewelery of FREEADSAustralia Port Macquarie before please use Edit my ads button to change or cancel your ad. Watches for sale, Jewellery, Jewelery Port Macquarie ads Port Macquarie, Watches for sale, Jewellery, Jewelery classifieds Port Macquarie, Watches for sale, Jewellery, Jewelery free ads Port Macquarie, ads for sale Port Macquarie, ads to buy Port Macquarie, FREEADSAustralia. Find here ads for sale, to buy and rent in Port Macquarie. Goods for sale in Port Macquarie, vehicles for sale in Port Macquarie, Port Macquarie real estate for sale, Port Macquarie property for sale, property for rent in Port Macquarie, business ads in Port Macquarie, Port Macquarie business classifieds, services in Port Macquarie, Port Macquarie services ads, jobs in Port Macquarie, pets for sale in Port Macquarie, Port Macquarie dating, Port Macquarie cars for sale.